I try to write mini-reviews of every film i watch as well as full reviews of films i feel particularly strongly about. I started it initially when i finished University, because i wanted to continue to improve my critical writing.I also wanted to have a list of every film i’ve watched and what i thought of it. Definitely interactive if i can get a few more people looking at it. First post was 22 months ago. I usually post once or twice a month but it’s been more frequent recently. 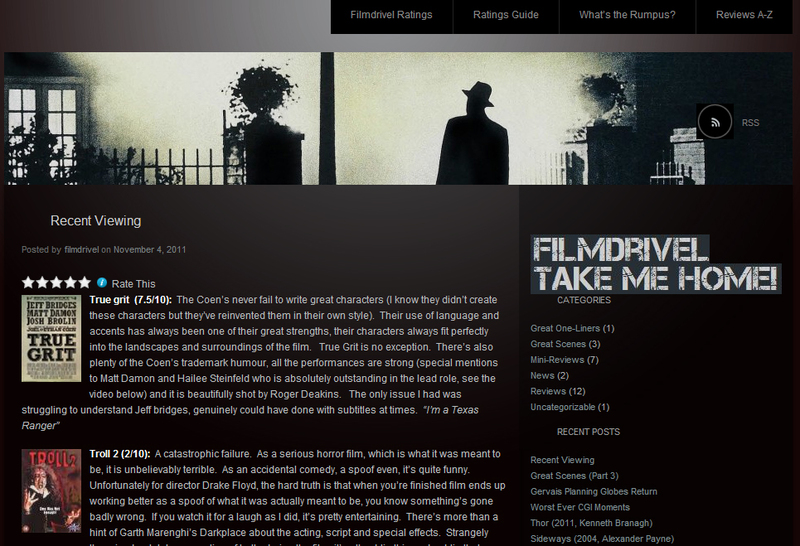 Cut The Crap Movie Reviews blog, had a link on the side.